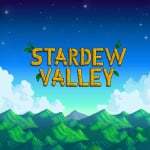 If you're still tending to your farm on a daily basis in Stardew Valley, Eric "ConcernedApe" Barone has just released a new performance patch for the game. As you've probably already worked out, it's a patch that improves the game's overall performance. Over on Twitter, Barone said how this update would address the frame rate issues associated with bigger farms. Improved performance in locations with lots of light sources (e.g. torches). Improved performance on farms with lots of animals. Tweaked new "H" health icon. Fixed multiplayer visual glitch when another player uses a tool and then starts moving in a new direction. Fixed "fishing stance" visual glitches in multiplayer. The game should have already auto-updated on your Switch, else you can manually update it from the HOME Menu. Are you still playing Stardew on the Switch? Have you tried out multiplayer yet? Tell us below. Should I buy this game? @BigMac1204 Yes. Yes you should. @BigMac1204 if you like simulations like harvest moon, yes definitely. Glad they fixed it. It wasn't game breaking or anything, but it was a little annoying, especially considering how buttery smooth it was before the multiplayer update. @BigMac1204 Well like all games it depends on your taste. But this is an extremely chill game where you are free to do whatever you want on a farm. You can raise animals and crops, fish, mine and even fight monsters in a dungeon. Personally I most enjoy making copious amounts of alcohol and selling it. You can craft all sorts of food items, or sell the materials raw. There are a bunch of bachelors and bachelorettes you can romance and they are all apparently bi-sexual so you can marry whomever. The appeal of the game lies in the freedom to do whatever you want to at your own pace. If that sounds appealing to you, I encourage you to pick it up. It's in my top 3 most played games on Switch, right up there with Xenoblade 2 and Disgaea 5. I've easily and happily played 200+ hours of it! I am loving the continued support! None of my games ever auto update. Ever. Except for maybe like a month after the update comes out. Did the save time ever get decreased? New layouts would be welcome, don't know what to do after two playthroughs. Thank god, the slow down is really bad when walking through my farm now, hope this sorts the frame skipping as well. @Zach777 That is strange, i feel my games even update if the switch is just in the dock powered off (but that might just be not possible). Check if you have enough internal free space available. @BigMac1204 yes, you should, but only if you have nothing else in your life that must be done. @BigMac1204 Just downloaded it a few days ago, and for $15, I'd say it was definitely worth it! I'm only ever going back to this game when they hit 120fps. And the PlayStation version still crashes when you open an empty sidequest menue. It’s obvious which version of the game is getting the most support. @Lando_ Man if the switch had framerate issues before I wonder how the Vita version will handle that? @Zach777 @IHateTombs I don’t have the exact same issue, but games I haven’t touched in a while never seem to never auto-update. Every so often I go through and do and update check on all of my titles and I am amazed how many actually start downloading something. My PS4 Pro is the same way - titles never seem to auto-update (unless that is something reserved for PS+). My Xbox One X keeps everything nice and updated. I've been on the fence for buying this game for so very long. I think it's time to finally do it. A game worth $15 that gives you over 60 hours of gameplay is a good purchase in my book. This game is one of my most played games, it's really well done. I love this game. I play it whenever I need a break from real life, which is almost every week, a few hours here and there. Currently working on amassing enough money through Ancient Fruit Wine (aged in the cellar) so I can afford that wonderful golden clock that stops fences getting damaged and weeds appearing. I downloaded the patch but I didn't notice that much of a performance boost, there's still quite a few visual hiccups. Especially while I'm plowing and planting new crops but I have a really large farm with lots of animals and grow-space so maybe that's why. 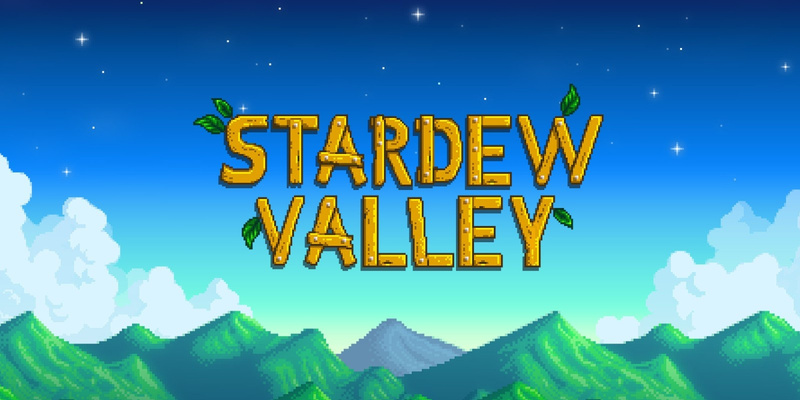 It's still not a dealbreaker and I'd highly recommend getting Stardew Valley on Switch over any other system. The screen real-estate in both portable and docked modes is wonderful and it's great getting to take the farm on the go or to sit on the couch while something else plays on the tv! I wouldn't recommend this game on mobile as you can sink a lot of hours in to it and phone screens just aren't big enough. Plus, on Nintendo, you get multiplayer first out of all of the consoles (only one to beat the Switch was Steam on that front). @BigMac1204 Yes, you should. I have put over 120 hours into the game since I got it in July. An open-ended game with so much to do for so cheap is cool.